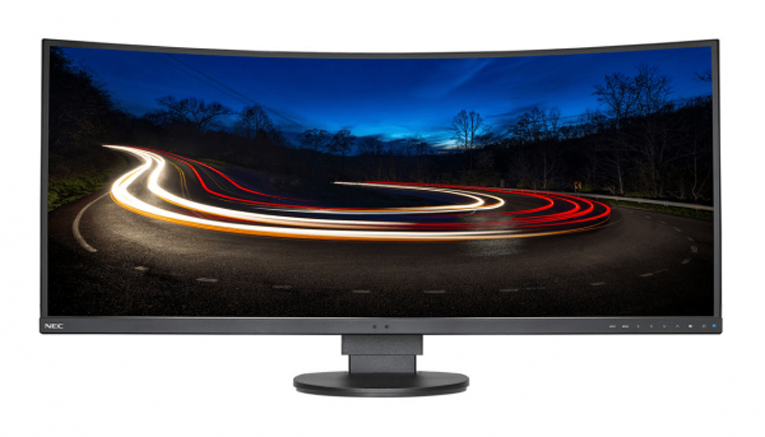 The curved 21:9 aspect ratio NEC EX341R-BK 34″ monitor is the latest ultrawide display to hit the market. Curved displays are supposed to offer an enhanced viewing experience that mimics the curvature of the human eye. Having a 21:9 aspect ratio display is great if your working with or watching 2.35:1 material, but when it’s just regular 16:9, you end up with black bars on the sides of the screen. This is the main reason why ultrawide displays have not been popular with most consumers. 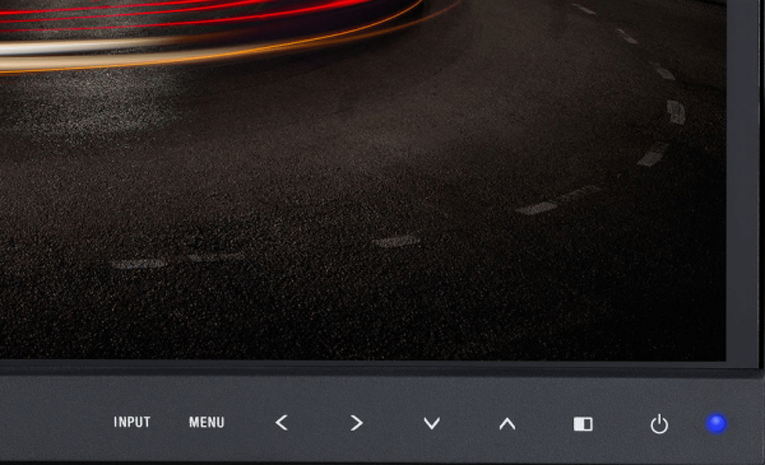 This latest ultrawide display features smaller bezels, which NEC claims makes it easier to focus on the content being displayed on the screen. 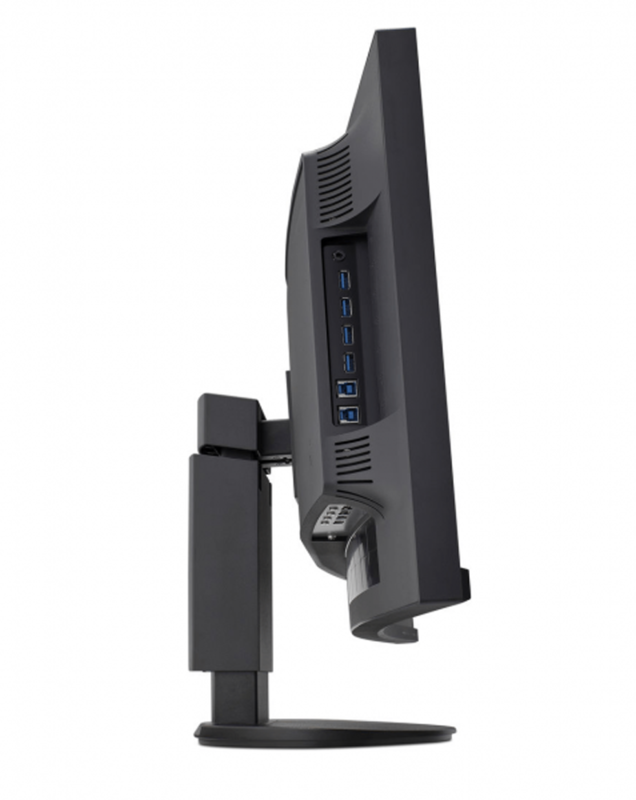 The panel supports 178-degree horizontal and vertical viewing angles to enable the monitor to be viewed from different angles with reduced distortion. I personally don’t really see the point of having a curved screen on a monitor that is only 34″. Typically a monitor of this size is going to be on a desk where you will be sitting right in front of it. I don’t know about you, but I don’t sit out on the edges of my desk when I am editing. The NEC display has an active resolution of 3440 x 1440 resolution, and a 3,000:1 contrast ratio. The brightness is only 290 nits, so it’s not designed to be used in a HDR workflow. NEC claims that the EX341R covers 99.5% of the sRGB colour space and 77.5% of the NTSC colour space to display enhanced color accuracy. Sensors inside the display automatically detect your work conditions to determine the proper display brightness for the environment you are in. Connection wise the EX341R monitor has a DisplayPort 1.2, HDMI 2.0, and HDMI 1.4 input connectors. The DisplayPort 1.2 output connector lets you use the display in a daisychain configuration. 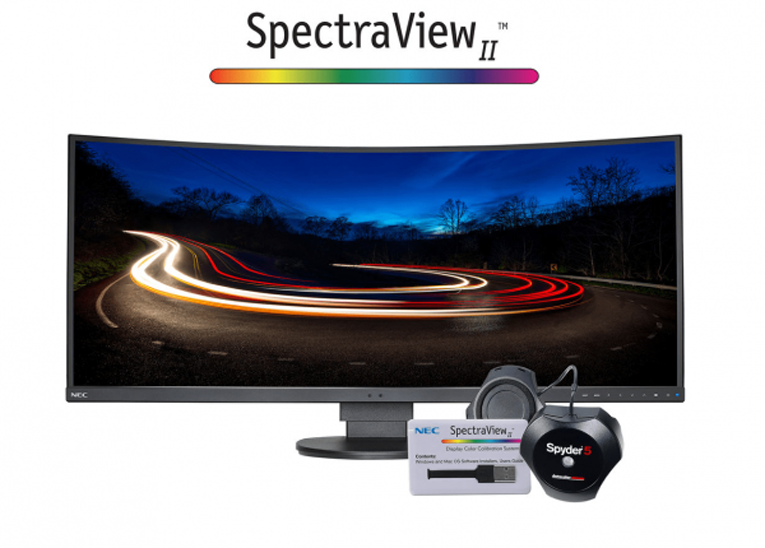 The monitor also has a touch-sensitive, on-screen display and NEC also includes a SpectraView Colour Calibration Kit, that features internal look up tables, colorimeter functionality, multiple calibration sets, and monitor profiling. I have the LG version. I actually like it a lot and closer I think is better for a curved monitor. I actually makes those farthest corners from you a little closer and more perpendicular to your eyes. Also as another commenter mentioned you can have a lot of real estate for your NLE’s timeline which comes in handy. I have this one and a 27″ UHD to the right of it for the viewer. Works well! Could use even more screen real estate though LOL! I have the HP variant, which comes with a remote and vertical twin speakers. They all come from the same raw panel, with each manufacturer putting their spin to it. HP did not sell many and have ceased production, from what I understand. Irregardless, the wide screen IS a good solution. I have a flat ultra wide and as someone less likely to delve in to multiple screen setups it has been amazing for productivity and uni work. To be honest if the definition is high ,and you have the rig to support it, then bigger is better. Presumably the screen swivels reducing the need to buy a piano stool and slide along it to find the start menu. No Freesync? Okay then moving on. I use a smaller ultrawide display below my main display for editing. It’s the perfect fit for your timeline! The rest of Premiere resides in my bigger 4k display above. Only thing is that i don’t know if ultrawide displays play nicely with Premiere because ever since I started using one (PC with Gtx 970 gpu) I’ve had odd display issues. There’s a workaround I have to do that foxes the issue. Takes only 1 minute to fix but it’s still annoying to have to do every time I restart my computer. Never got an answer on the forums as to why it’s happening. But outside that, I love it as it’s a perfect fit for the timeline.